Reading Kingdom, an Online Educational Program Review! Having four Kids I'm always looking for a great educational program online. Especially ones where they can do it by themselves and give mommy some much needed mommy time. Check out our Reviews of Reading Kingdom. Reading Kingdom is an award-winning online program that teaches children 4-10 to read and write to a 3rd grade level. The program is based on the work of Dr. Marion Blank from Columbia University, one of the world's top experts on reading and language development. It uses her patented and research based "6-SIM" (Six Skill Integrated Method) technique that yields incredible results. Joshua is my oldest a 9 year old who already reads at a 4th grade level. I wanted to get a good idea of what the program could do so I chose him to go first. The first thing you get is instruction on how to use the program and you get to decide if you want to use an on screen keyboard or your own keyboard. Joshua used my keyboard and mouse. Then he was ushered into a skill level check. Not surprisingly he got to start with Book 3. The highest of the books. He got quite "bored" doing the skill check and only seemed slightly interested in the lessons probably because they were below his level. The typing using the shift key gave him the most trouble. Lillian is my youngest at the age of 4, and at the opposite site of the scale. Although she has been in preschool and knows her letters and her sounds she is not really reading yet. I'm hoping this program will give her a jump start for the next year of preschool and that she will be reading as well as my 5 year old is now. She really enjoyed this program and came back to play it several times throughout the week. She loves the praise after each task is completed and her passport to the next level. We will be using this program for her for at least the next year to help her prepare for Kindergarten and a lifetime of reading. Ashlyn is my 5 year old. She is my beginning reader and I hope this program will help her to be more comfortable reading. For Ashlyn although she enjoyed the program she did not spend as much time as Lillian on it. She would come back every couple of days to try out something new. Her favorite part was learning new site words and how to spell them for school. She would then practice writing stories on notebook paper after her lessons using some of the new words she learned with the program. I liked that the program taught children to read from left to right and to type from left to right. I loved the positive encouragement for a task well done and the teaching that happens when they make a mistake. 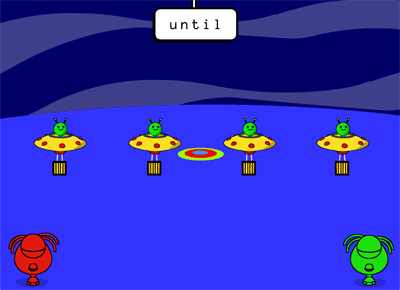 The program would show them how to complete the task and they would repeat it. I like that the program is based on their current levels in reading. with all my newest deals! Come join me on Pinterest, Facebook, Twitter, Delicious, Tumblr and Google+.